Showcasing a weathered paver design that supports vertical installation, this Daltile Union Square 2 in. x 8 in. 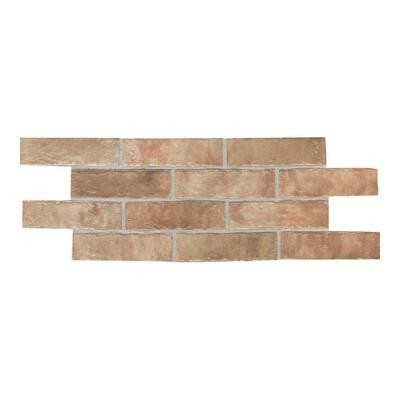 Heirloom Rose Ceramic Paver Floor and Wall Tile makes it easy to bedeck your entrance floor or wall, kitchen countertop or backsplash, sidewalk, driveway or patio with appealing style. Resilient for indoor and outdoor venues, the tile boasts a P.E.I. Rating IV abrasion-resistant design and frost-resistant, vitreous surface to stand up to the perils of traffic and Mother Nature's elements. You can buy this product in our internet market. We will be glad if you make the right choice.